Mazel Tov Rory and Asya. 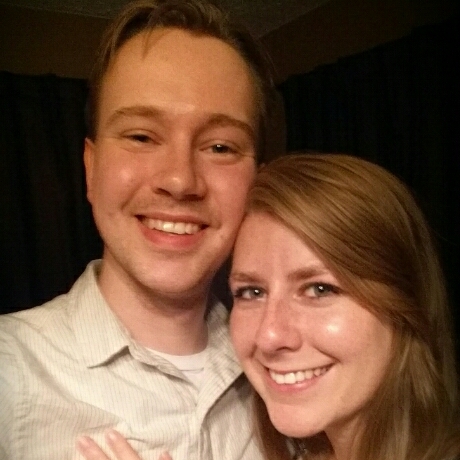 We have heard our first marriage proposal recorded with the StoryCorps app. On July 8, Rory Miller and girlfriend Asya Adcock sat together in their Tennessee home to share memories of their first kiss together while in high school. She described it as “pleasant” while he was inspired to write a song about it. But that was it for the two of them for the next seven years until they reconnected at Bonnaroo in 2011. Rory had no doubt he wanted to kiss Asya again, she was not so sure so she left it up to…Arcade Fire. If they played her favorite song she would kiss him, if not, he’d be out of luck. The indie rock gods smiled on him that day and “Wake Up” was played, and they have been together since. Congrats to the happy couple whose dog Achilles was present for the proposal, and hopefully they won’t forget to let us know when they pick a date (we hear Tennessee autumns are spectacular). Click here to listen to the happy moment. Our proposal: Download the StoryCorps app and start recording your own special moments.